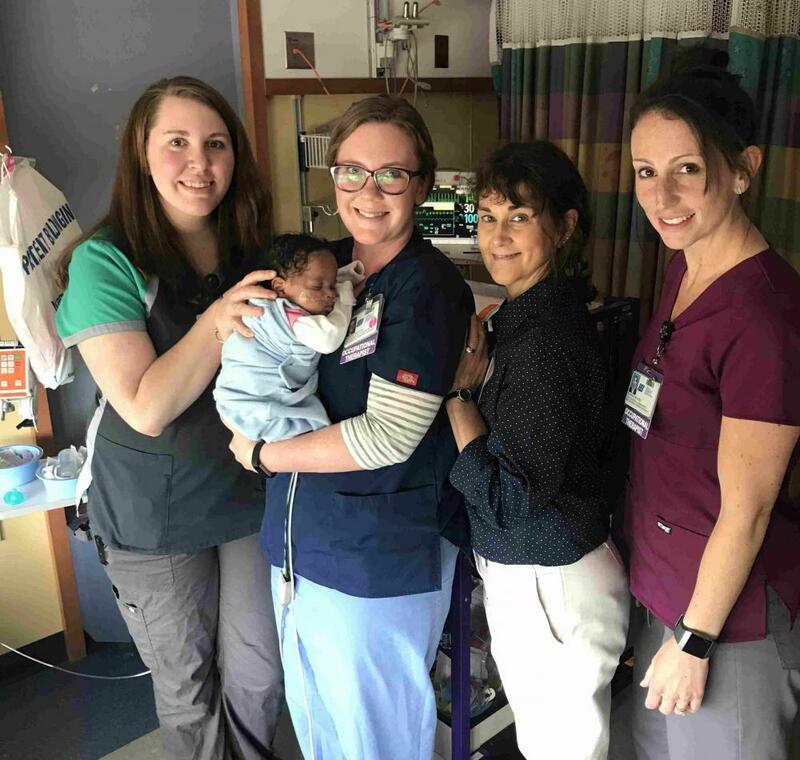 In the Spotlight: Elliot Hospital Neonatal Therapists Kristen Hunt&comma; Kaitlyn Tilton&comma; Shari DeYoung and Mariah Derby have earned the distinction of being the only four in NH and four of only 800 neonatal professionals in the country having successfully completed neonatal touch and massage certification. Cheshire Medical Center recently presented the president’s service excellence award to Deb Lukan&comma; clinical procedural specialist of clinical informatics. Colleen Barry&comma; director of nutrition services and Dr. G. Forrest Quimby&comma; urology department are this quarter’s recipient of the leadership award. Cheshire Medical Center in Keene has hired Kelly Milot&comma; APRN to work in the department of family medicine in the Winchester Clinic. Prior to joining the Medical Center&comma; Kelly was a family nurse practitioner at Castle Primary Care&comma; an Internal medicine clinic in Kailua&comma; Hawaii. U.S. Cellular U.S. Cellular has named Justin Fostier as retail sales manager for the Manchester location. Fostier leads store associates to help customers and businesses select the best plan and devices to meet their data needs. Prior to U.S. Cellular&comma; Fostier held several manager positions in the retail wireless industry. Satellite Agency Network Group an alliance of independent insurance agencies in the Northeast&comma; celebrated 35 years of success at its annual business meeting. 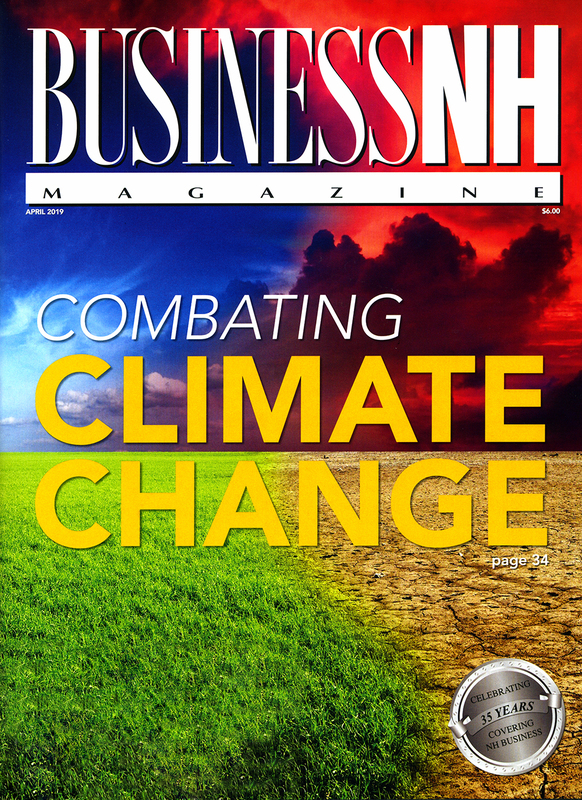 More than 500 insurance industry professionals attended the one-day event. Granite Air Center in Lebanon has partnered with Norwich Solar Technologies of White River Junction&comma; Vermont&comma; to install a 218.1-kilowatt DC&comma; net-metered photovoltaic system on the main hangar rooftop at their facility. The largest solar array in the city of Lebanon to date&comma; it will provide Granite Air long-term energy cost reduction and stability through the integration of clean&comma; renewable solar electricity. The City of Rochester was honored by the NH Preservation Alliance for its work to restore the historic City Hall Annex&comma; which first opened in 1904. The project was also recognized with the organization's Elizabeth Durfee Hengen Award. Memorial Hospital in North Conway presented its annual excellence awards. The honorees included for patient centered champion&comma; Melissa Bartlett; spirit of excellence&comma; Joseph LaRue; spirit of respect&comma; Logan Leach; spirit of integrity&comma; Molly Foudriat; spirit of ownership&comma; William Owen; spirit of innovation&comma; Lucy Williams; spirit of teamwork&comma; Nurse Coordinators; leader of the year&comma; Heather Kennedy; provider of the year&comma; Abigail Lang&comma; PA; employee of the year&comma; Erica Ramos; brightest star: Molly Greenwood; and “One Beat” engagement award Melody Nester. Memorial also honored long term employees with its annual service awards. Memorial's Chief Medical Officer Ray Rabideau&comma; MD reached the 40-year mark as did Ruth Ann Fabrizio&comma; RN.